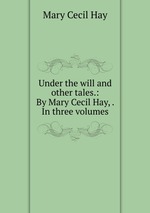 Аннотация к книге "Under the will and other tales. : By Mary Cecil Hay, . In three volumes"